I’m excited to announce that I have been nominated by world-renowned travel photographer, Elia Locardi to participate in a photography blogging contest that he’ll be judging on called Explore The Elements. Click here to read his post. Taken in Bagan, Myanmar. 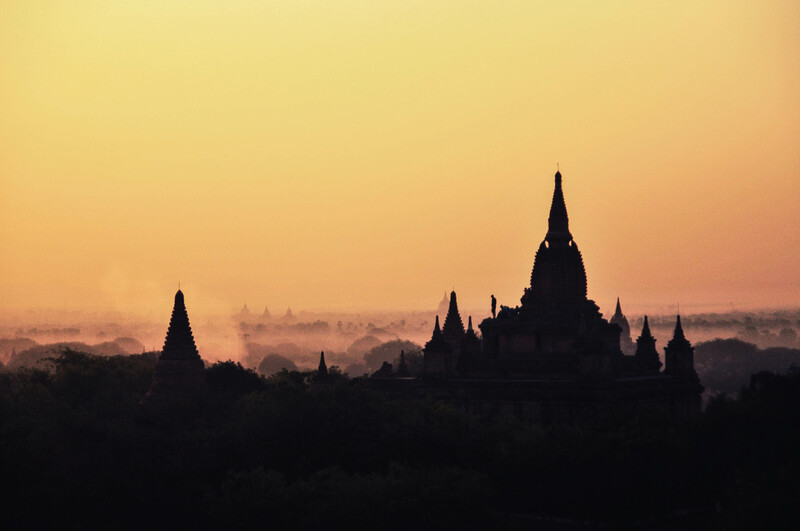 I’d wake up before the sun does, bike to Old Bagan, find a different temple, climb to the top to sit and wait for the dawn to break over the mist. I’d come back for sunset and do the same thing all over again, everyday. During this sunrise, I saw a few people standing on the other temple, experiencing the same thing I’m experiencing. We’re just in different bodies, I thought. I caught one of them as he stood in awe, I look at him from the distance and smile. Because I know he’s completely in it, his inner gravity is pulling all his senses to new heights. And I know, because I can feel it too. Taken in Koh Rong Island, Cambodia. It was unreal. As if the stars fell into the ocean. As we swim around our boat, bioluminescent planktons start glowing all around us. Sienna, Michelle and I are yelling and laughing at how magical everything is as we create galaxies and swirling stars with our bodies. On our way back to the island I stick my hand in the sea. And the stars keep shooting out of my fingertips. Taken in Kampot, Cambodia. 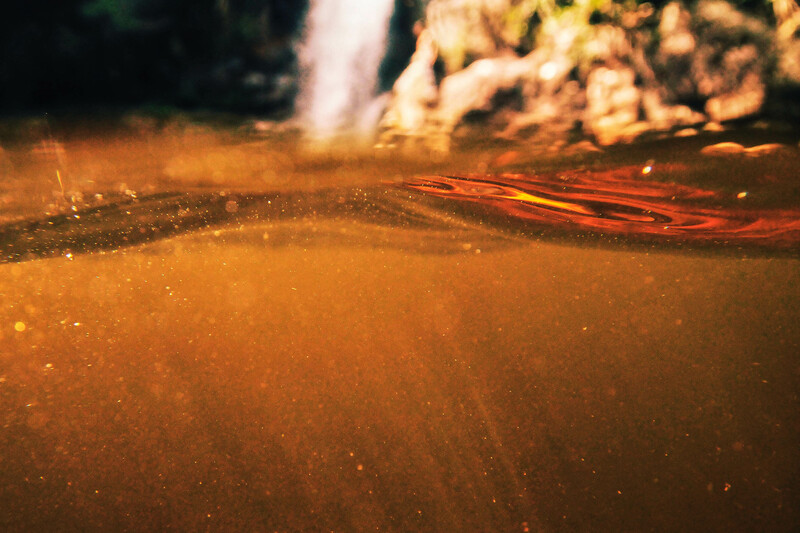 I dipped my body into the cool water, colored by the red earth. I was mesmerized by its colors, for I’ve never swam in red waters in my life. 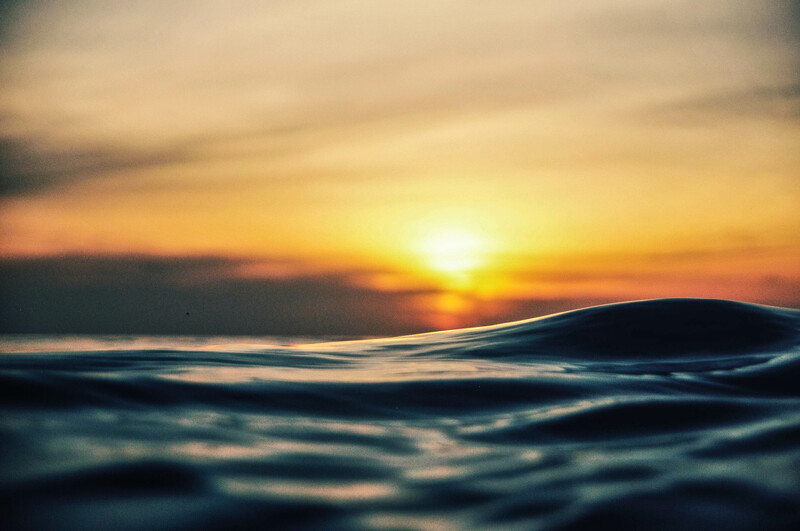 It was as if fire made love to the water and I watched it settle, catching a glimpse of both worlds. Taken in Bagan, Myanmar. 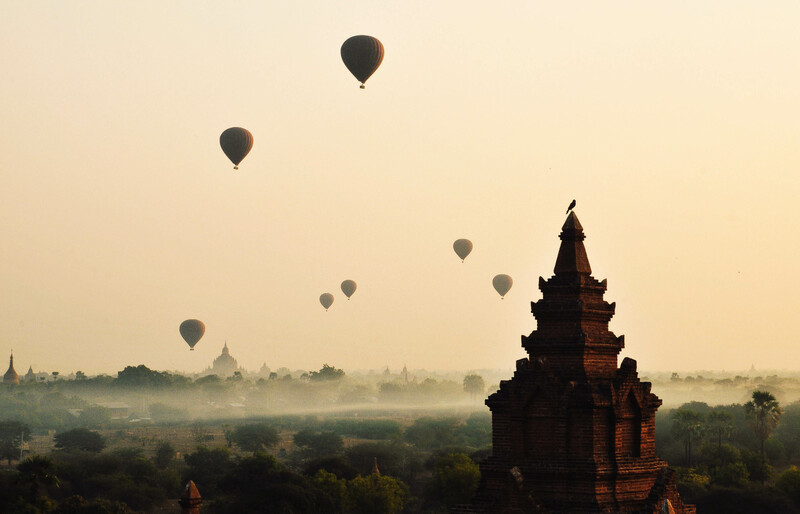 There is nothing like watching hot-air balloons floating to the golden sun ascending over the traces of these ancient temples with M83’s Intro and Outro flooding into my ears and sending euphoria to every cell in my body, dissolving all that binds my flesh and bones and making me feel infinite. No words or images can ever do justice to this magic. The air that I breathe and the words that I speak have escaped me. There is only this. Just, this. I’ve seen a few of these entries popping up lately around the blog circle and I’m thrilled to see you’re a part of it! These are all beautiful shots that I think really capture the elements, but the fire is by far my favorite. It’s mesmerizing how the combination of the fluidity and the colors morphs back and forth from water to fire. Really stunning! Great submissions! I love them. Do you happen to be in Siargao this May? Hope to bump into you there and be inspired with your contagious optimism! Both your words and your photos are so dreamy. Amazing. All 4 photos are amazing! I’ve been following your blog regularly for almost a year now, and your texts have been one of the things that inspired me to find even more courage to travel on, and start blogging too. I’ve seen these photos in your earlier posts and it’s incredible how you wrote those words connected to the photography you made, not even knowing that they will suit perfectly this competition that you are entering now. As you said, and as I also believe, nothing ever happens as a coincidence, there is a reason for all things that happen and things that we do – this contest has been meant for you! I am so happy that you got this opportunity and wish you best of luck! Amazing photos! Best of luck for the contest! I love this blog! Hope u win, the photos are great! I love your blog and read it pretty often, you have this poetic style I like. But I think you should consider to change the font for bigger one, it’s hard to see it well. Congratulations on the nomination! Your incredible work speaks for itself, great photos. Keep up the good work! Happy to have found you blog. Will be following your adventures! Wow I love your Blog, Posts and Picures so much! Great job! Beautiful! Those pictures are breathtaking and presentation is equally good. Good job. You have amazingly beautiful pics! Love them! They have such a story they transport! Wonderful!!! !